Artemis have a number of key partners who have helped create, sustain and develop the enterprise into what it has become today. Amey is the public services company that brought together the businesses in the private sector. 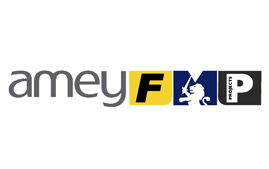 Amey FMP is an Amey managed joint venture strategic partnership, embracing three of N. Ireland’s leading construction companies; Farrans, H & J Martin and the Patton Group. Amey Built Environment (ABE) has a 30 year contract to manage the day to day operations in the facilities at the five Artemis schools in Belfast. The EABR is the local authority responsible for Education, Youth and Library Services within the city, and aims to contribute to life-long learning for all the people of Belfast. As a non-profit making body, the EABR has agreed with Artemis, to contribute any surpluses accrued by the Education and Training programme to the Social Enterprise for the benefit of the local community. The EABR is accountable to the government departments who have contributed to the NBCLC through the NBCLC steering group. Under the privately financed initiative, Amey FMP owns the school premises, and the EABR are their client as part of the Belfast Schools Strategic Partnership (BSSP). Stratagem is Northern Ireland's dedicated lobbying company. Stratagem helps Artemis make connections, build coalitions and take their objectives to the heart of the decision-making process, helping them navigate the complexities of Northern Ireland politics and public policy. Stratagem engages with the democratic process in an open and transparent way. 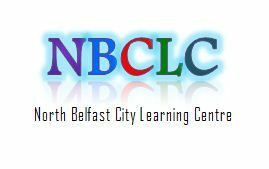 The Girls’ and Boys’ Models are being established as a community hub in North Belfast called the North Belfast City Learning Centre (NBCLC). The schools are collaborating with the community and voluntary sector, government departments, education bodies, the private sector and Artemis the charity to develop a new model for schools to engage, develop and make a positive difference to the people of North Belfast. The Belfast Schools Strategic Partnership is a totally integrated team working together to deliver the common goal of modernising and maintaining the controlled schools estate in Belfast along with Libraries and Youth Clubs as part of a programme of work to be procured in the most cost effective and efficient timeframe possible. The team of strategic partners is made up of BELB / ESA, Amey Ventures, Amey Built Environment, Farrans, H & J Martin and the Patton Group alongside DE, DFP and DCAL. A number of government bodies have invested in the community aspects of the Belfast Model Schools. These include; the Department of Education (DE), the Department of Social Development (DSD), the Office of First Minister and Deputy First Minister (OFMDFM), and the Department of Health, Social Services and Public Safety (DHSSPS) and the Department of Culture Arts and Leisure (DCAL). The whole initiative has been put together by the Strategic Investment Board (SIB). Representatives from these departments meet together on the NBCLC Steering group along with Amey FMP, the two school Principals, the Chair of Artemis and the group is chaired by BELB. DE fund the two Model Schools to come up with action plans to connect with the local community and provide additional services before, during and after the school day under their Extended Schools Policy and initiative. While separate, both the NBCLC and Artemis seek to complement FSES, and add extra resources and options for community development. Belfast Met Titanic Quarter Campus is located in the Titanic Quarter area of Belfast. With excellent onsite parking, this stunning building is a welcoming space that boasts a wide range of top quality facilities that are perfect for any club or group meeting, public event or special occasion.